Richmond Ballet More Than Half Way Down "Road to the Future"
State ballet announces $10 million fundraising drive at Dominion. Founding Artistic Director Stoner Winslett speaks at a press conference at Dominion Resources on Wednesday. The Richmond Ballet, who only two years ago toured four cities in China, has announced a new $10 million dollar fundraising campaign. Best part? $6.35 million has already been raised by the ballet's generous donors. Founding Artistic Director Stoner Winslett spoke at an evening press conference on Wednesday at Dominion Resources and noted that the purpose of the "Road to the Future" campaign was to support core needs. The breakdown of the money is as follows: $1 million for education; $1.3 million for national and international touring; $2.275 million for building enhancements; $1.925 million for creative capital, and $3.5 million for endowment. 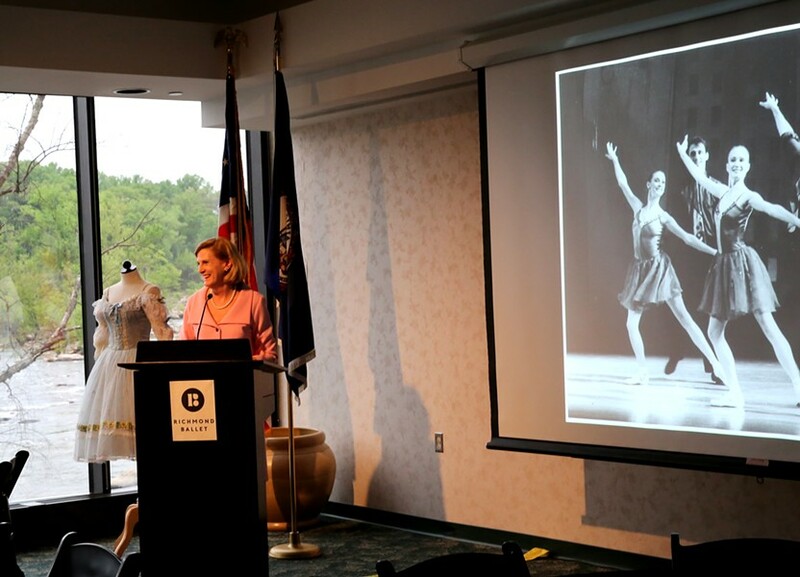 Campaign Chairs David R. Beran, Thomas F. Farrell II, and John A. Luke Jr. explained that given how far the Ballet has come since 1957, “the time is now to take Richmond Ballet, The State Ballet of Virginia, to the next level of support,” according to a press release. Campaign director William Hancock tells Style that the ballet hopes to start renovations this summer and that anyone interested in donating can contact him at 344-0906 ext. 270. Up next for the ballet will be a New York tour, May 9 through 14 at the Joyce Theater, 175 8th Ave. at the corner of 19th street.